We hit a major milestone this month in our Classroom Program. Students have officially contributed more words to Wikipedia since our program’s inception in 2010 than were published in the last print edition of the Encyclopædia Britannica. Executive Director Frank Schulenburg wrote a piece about the significance of this milestone, which can be read here. We also released a Press release for the occasion, which can be found here. The Spring 2018 term marked another important milestone for Wiki Education. We are supporting 400 courses, our largest number of courses to date, and for the first time, more than half of our courses are being taught by returning instructors. This is evidence that our recruitment and retention efforts have been working and that the Dashboard continues to be an effective tool for everyone: staff, instructors, and students alike. The Wikipedia Fellows pilot finished this month. We quadrupled our goal for words added (29,000) and tripled our goal for articles edited (65), but fell short of our goal of a 10-point ORES improvement (on average we improved articles by four points). All nine Fellows submitted responses to the end-of-program survey and had glowing remarks. Most notably, all Fellows indicated that they want to continue to contribute to Wikipedia after the end of the program. We are already at work on planning our next round of Fellows cohorts. 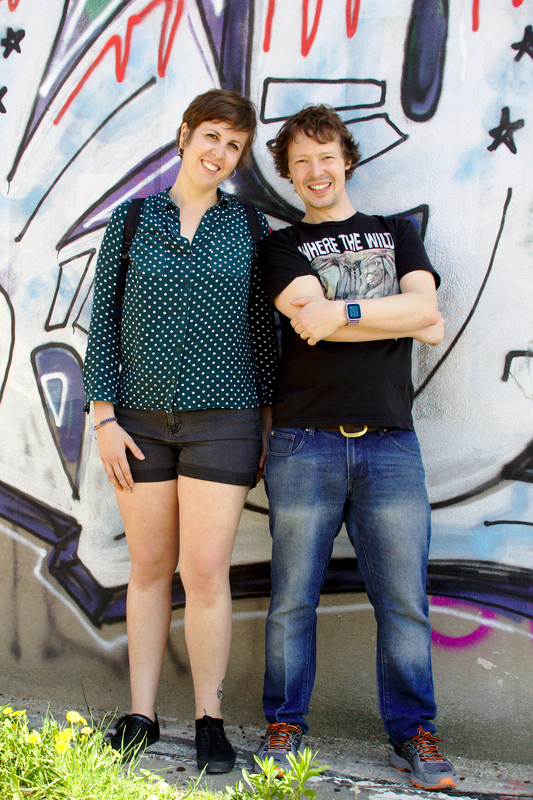 Frank and Product Manager Sage Ross traveled to Berlin to participate in the annual Wikimedia Conference. It was a great opportunity to join other leaders of the global Wikimedia movement. While Sage joined the programs track to speak to the present and future of the global Programs & Events Dashboard that we maintain, Frank focused on the second round of conversations about the strategic direction of the Wikimedia movement. Dashboard improvement summer projects were announced this month: Outreachy intern Urvashi Verma will improve the Dashboard’s support for media contribution campaigns, while Google Summer of Code student Pratyush Singhal will build an ‘Article Finder’ tool to help Dashboard users explore topic areas and identify articles to improve. These improvements will benefit users of our Dashboard worldwide, and will provide valuable learning experiences for these volunteers. Educational Partnerships Manager Jami Mathewson attended the Midwest Political Science Association’s annual meeting in Chicago, where she served as discussant alongside three instructors who are teaching with Wikipedia: Dr. Jinu Abraham, Dr. Matthew Bergman, and Dr. Megan Osterbur. They each offered insightful tips about teaching with Wikipedia for the first time, and they made compelling arguments for doing so. This was a fun opportunity to learn about their experiences on the ground. Early in the month, Jami attended the Midwest Political Science Association’s annual meeting in Chicago. She served as discussant alongside three instructors who are teaching with Wikipedia: Dr. Jinu Abraham, Dr. Matthew Bergman, and Dr. Megan Osterbur. This was a fun opportunity to learn about their experiences on the ground, and we’re grateful for instructors who encourage their peers to join Wiki Education’s Classroom Program. They each offered insightful tips about teaching with Wikipedia for the first time, and they made compelling arguments for doing so. Three partners committed this month to recruit their members for our new Wikipedia Fellows program—the Midwest Political Science Association, National Women’s Studies Association, and American Anthropological Association. And Outreach Manager Samantha Weald hosted two online workshops and one in person event to continue expanding our visibility among interested instructors. She called in to a Teaching Discussion Group meeting at Florida State University, had an online call with Santa Clara University’s Department of Modern Languages and Literature, and an in person event at California State University, East Bay all with the hope of expanding our work on translation, language, science, and humanities assignments. You can read more about each of these events in our two follow up blog posts here and here. The Spring 2018 term marked an important milestone for Wiki Education. We are supporting 400 courses, our largest number of courses to date, and for the first time, more than half of our courses are being taught by returning instructors. Returning instructors typically require less support from the Programs Team which means we can devote more time to our new instructors, while returning courses continue to add quality content to Wikipedia. This also means that we can continue to support a growing number of courses and rely on the experience and expertise of our returning instructors to ensure quality. Going into the Spring 2018 term we devoted a great deal of our time and effort to recruiting and retaining courses that previously had significant success with the Wikipedia assignment. Over the years, we’ve continually refined our resources and have gained better insight into what types of courses are best suited for a Wikipedia assignment. This term, we are seeing the results of these efforts. Our ability to support hundreds of courses is also in large part due to the Dashboard and the close collaboration of the Programs Team staff. This term, the Dashboard was critical in helping Wikipedia Content Experts Ian Ramjohn and Shalor Toncray uncover cases of plagiarism and copyright violation, some of the largest sources of confusion for students when contributing to Wikipedia. Ian and Shalor, along with Classroom Program Manager Helaine Blumenthal, have also been in the process of revising how they support courses to maximize how quickly they can respond to any issues that may arise. While Spring 2018 is just coming to an end, we’re already beginning to look toward Fall 2018 with an eye to repeating our successes from this term. Wiki Education visited Cathy Gabor’s course at USF in April. In April, Communications Associate Cassidy Villeneuve visited Cathy Gabor’s course at the University of San Francisco and Irene Bloemraad’s course at the University of California, Berkeley. It was a great chance to see Wikipedia assignments in action and get feedback about how students are liking trainings and other Wiki Education resources. Wiki Education at Irene Bloemraad’s course at UC Berkeley. The realm of politics was one that was not initially open to women in the United States, but as time progressed women were able to gain a foothold and show that they were just as capable as their male counterparts. Despite attempts by Wikipedia editors to close the gender gap, information on influential female politicians and advocates is still lacking. 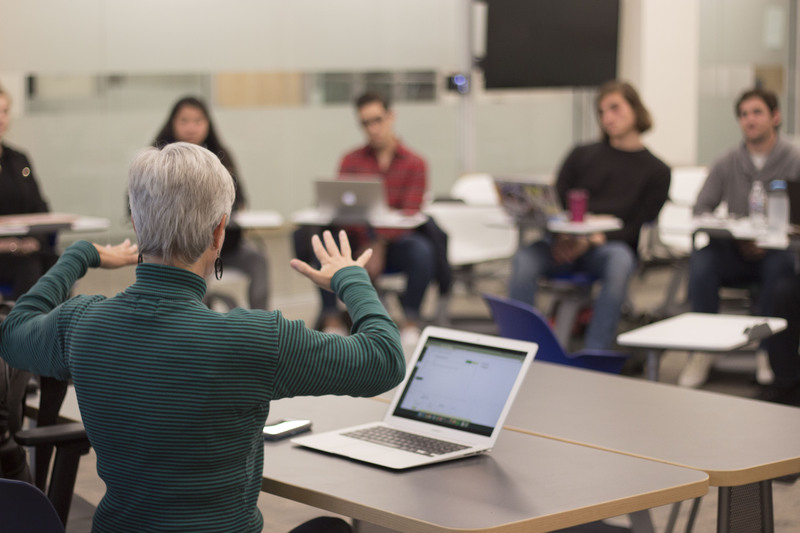 Students in Karen O’Connor’s Women, Politics and Political Leadership class at American University chose to address this by expanding articles on women and women related topics on Wikipedia. One student expanded the article on Inez Smith Reid, who was the Corporation Counsel for the District of Columbia and served as a judge of the District of Columbia Court of Appeals, the highest court for the District of Columbia. Reid attended Yale and UCLA, after which point she accepted a position as a professor in Congo-Leopoldville at the Ecole Nationale de Droit et d’Administration, where she taught students studying to become magistrate judges during the Congo Crisis. Another article that was expanded by O’Connor’s students was one on the National Association of Women Judges. Established in 1979, this organization is a gathering of women judges who are dedicated to preserving judicial independence for women, minorities, and other historically disfavored groups while increasing the number and advancement of women judges, and providing judicial education. If you were to ask a child in the United States during the 1980s, many would express a desire to study outer space and attend classes on the topic (especially the coveted Space Camp). However many of these minds, thirsty for knowledge and gazing towards the sky, would find it difficult to gain access to programs that would prepare them for this competitive field and give them a higher chance of success with job seeking. This is why the National Space Grant College and Fellowship Program is so vital, as it helps ensure that more people — especially women, underrepresented minorities, and people with disabilities — have the ability to access education and training that would prepare them for careers in aerospace science and technology, as well as promote a strong science, mathematics, and technology education base from elementary through secondary levels. This is likely why a Cal Maritime student in Margot Hanson’s LIB100-2 Information Fluency class chose to expand this topic. Some plants change the form of their leaves drastically over the course of their lifespan — so much so that you might never think that the leaves of the juvenile plants and those of the adults even came from the same species. This phenomenon is known as heteroblasty, and before a student in Gordon McNickle’s Principles of Plant Biology class started working on the article, it was just a seven-sentence stub that gave little more than just a basic definition of the term. Now readers can learn about the ecology and evolution of heteroblasty and the physiological and genetic mechanisms that underpin it. Tactile discrimination is the ability to tell things apart by touch. A student in Michelle Mynlieff’s Neurobiology class expanded a three-sentence stub into an article that deals with the biology of sensing touch, and the importance of tactile discrimination to people who are visually impaired, people with chronic pain conditions, and in the design of prosthetic limbs and robots. Monoplegia is the paralysis of a single limb. TRPV2 is a cation channel that allows cells to communicate with the environment outside the cell. Posterior cord syndrome is an uncommon form of spinal injury. Ferroptosis is a type of programmed cell death. These are among the many short articles on Wikipedia that students in this class expanded into informative articles about topics that are of relevance to the everyday lives of people. A broad form deed is a type of deed which severs surface rights from mineral rights. Early in the 20th century, their use allowed coal companies to gain control of the rights to extract coal across Appalachia, even when this involved the destruction of the surface of the land. The Roving Picket Movement was an influential movement by mine workers in Appalachia to improve working conditions. The Mountain Valley Pipeline is a liquified natural gas pipeline designed to move natural gas from the West Virginia to southern Virginia. These are among the many articles created by students in Sarah Carmichael’s The History of Coal class. One student in American University professor Karen O’Connor’s Women, Politics and Political Leadership course uploaded a photograph of Shirley Hufstedler, who served as the very first United States Secretary of Education. 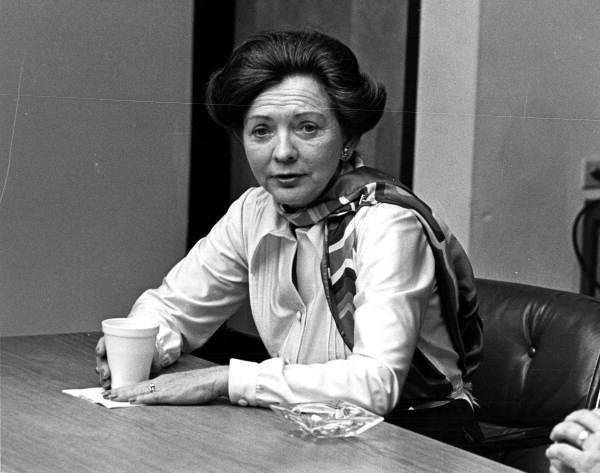 She worked in this role from November 30, 1979 to January 20, 1981 and her tenacity helped ensure that she wasn’t the last Secretary of Education. Image: File:United States Secretary of Education Shirley Hufstedler at Miami-Dade Community College.jpg, public domain, via Wikimedia Commons. Program Manager Will Kent has been in the process of searching for Visiting Scholars for North Dakota State University (NDSU) and the University of New Mexico (UNM). Although no placements have been made yet, Will’s been communicating with applicants and sponsor institutions about potential placements. He had an encouraging conversation with Barnard this month about potentially hosting a Visiting Scholar. Our Barnard contact, Meredith, was very eager and pitched the idea to her colleagues at an all-staff meeting at the end of the month, which was well-received. They are moving forward with a draft description of the position with a potential August-September start date. If everything goes to plan, we would have a total of four new hosts in 2018. Wehwalt has been working on the 2017-18 Bergen County eruv controversy, a Featured Article. He has trimmed sections for clarity, added more up-to-date information, removed misleading information, and linked to more neutral sources, among several other smaller edits. Czar made some small edits to the Judith Kanakuze article, which he created last year. Rosiestep has had a productive April. In addition to creating the article for Evelyn Magruder DeJarnette she also created articles for Addie C. Strong Engle and Emma Elizabeth Brown from scratch. Textaural has been busy contributing to the Essex County, Ontario article. He has modified links, improved clarity, and added a section about Black settlement in Essex County. Visiting Scholars also uploaded great photos to Wikimedia Commons this month. From the Sand Geyser Article, uploaded by Bfpage. 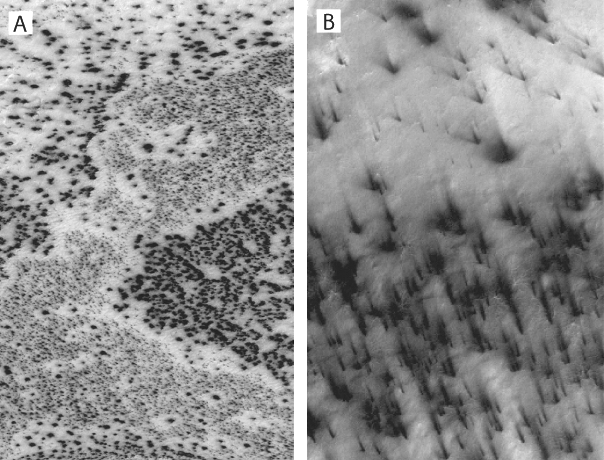 Image: File:Martian sand geysers.png, public domain, via Wikimedia Commons. From the Simon Hatley article. Added to the article by Wehwalt. 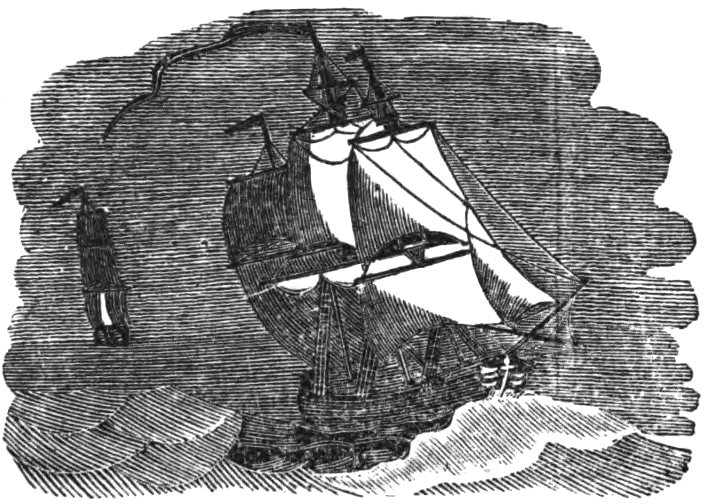 Image: File:The Duke and the Duchess at sea.png, public domain, via Wikimedia Commons. Textaural added 1,500 words to the Windsor, Ontario article as well as a map. Most of these contributions are historical in nature, but provide a historically black perspective that was previously lacking from the article. From the Windsor, Ontario article. Uploaded by Textaural. 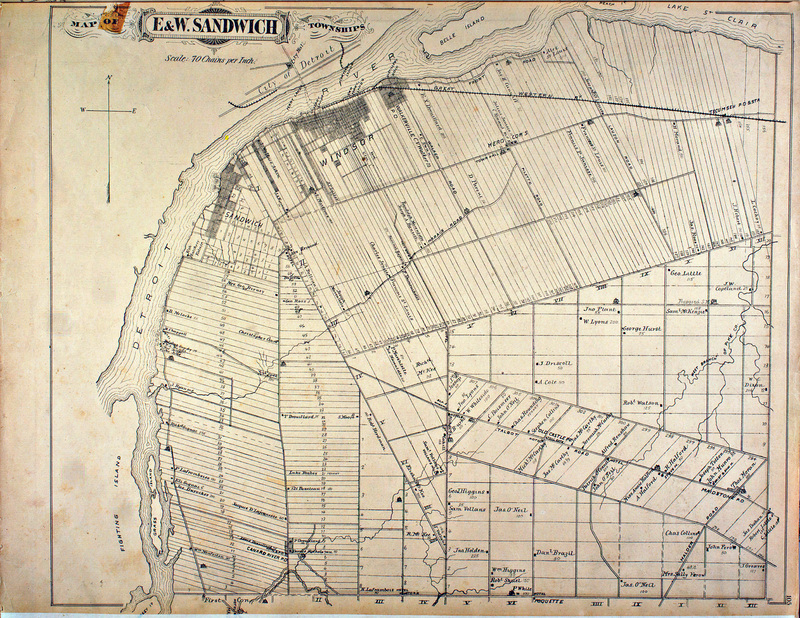 Image: File:Sandwich Township in 1881, Essex County Ontario.jpg, Belden & Co, public domain, via Wikimedia Commons. This past month, scholars have created or contributed a total of 21 articles. The Wikipedia Fellows pilot has finished. We quadrupled our goal for words added (29,000) and tripled our goal for articles edited (65), but fell short of our goal of a 10-point ORES improvement (on average we improved articles by four points). All nine Fellows submitted responses to the end-of-program survey and had glowing remarks. Most notably all Fellows indicated that they want to continue to contribute to Wikipedia after the end of the program. We are already at work on planning our next round of Fellows cohorts. A small interdisciplinary cohort, modeled after the pilot. A small cohort that will focus on issues regarding the Midterm elections in the US. A large cohort that will focus on issues regarding the Midterm elections in the US. A medium cohort comprised of Fellows from Communicating Science associations. We hope to support more than fifty Fellows in this next round of cohorts. We hit a major milestone this month in our Classroom Program. Students have officially contributed more words to Wikipedia since our program’s inception in 2010 than were published in the last print edition of the Encyclopædia Britannica. Frank wrote a blog post about the significance of this milestone here. We also released a Press release for the occasion, which can be found here. We published more results from our Fall 2017 instructor survey this month. Instructors had great things to say about the impact of a Wikipedia assignment on a student’s motivation and on the status quo in academia and beyond. We published our first post about survey results back in March. We featured two guest contributors on our blog this month. Dr. Royal G. Cravens, III wrote about his experience in the Wikipedia Fellows pilot program here. And Dr. Benjamin Wolozin, of the Boston University School of Medicine, shared what it was like incorporating a Wikipedia assignment into his curriculum for the first time here. Frank was interviewed on WMNF, along with Classroom Program participant Laura Runge, a professor of English at the University of South Florida. 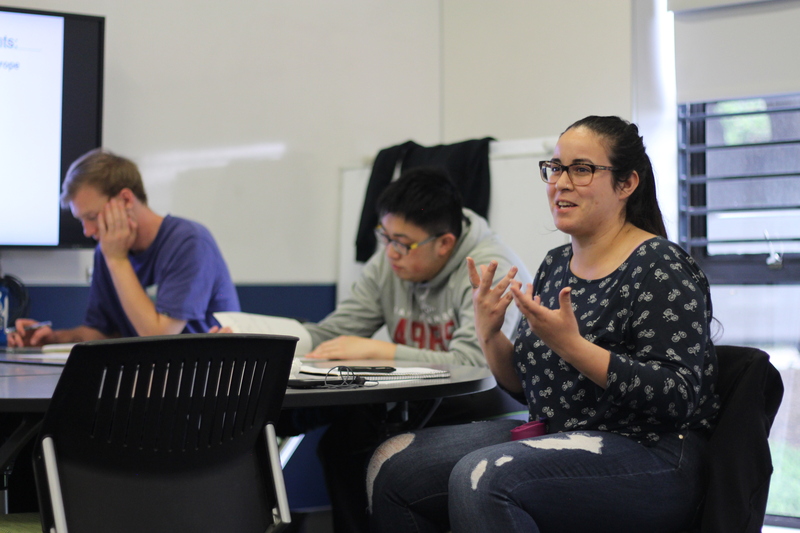 And Deputy Director and Director of Programs LiAnna Davis was interviewed on KPFK, along with Classroom Program participant and UCLA professor Dr. Ben Karney and his psychology students. We printed a new subject-specific brochure this month for students editing Wikipedia in science communication courses. The brochure is now available to any course in the sciences and on Commons. Sage got to meet Outreachy intern Candela in person at Wikimedia Conference 2018 in Berlin. Image: File:Candela and Sage at Wikimedia Conference 2018.jpg, Joe Mabel, CC BY-SA 2.0, via Flickr. In April, we laid the groundwork for an array of exciting technical projects for this summer and beyond. Two student coding projects for Dashboard improvements this summer were announced, once again mentored by Sage and Wikimedia Foundation Senior Design Researcher Jonathan Morgan. Outreachy intern Urvashi Verma will improve the Dashboard’s support for media contribution campaigns, while Google Summer of Code student Pratyush Singhal will build an ‘Article Finder’ tool to help Dashboard users explore topic areas and identify articles to improve. Sage attended Wikimedia Conference 2018 in Berlin, where he hosted a workshop on using the global Programs & Events Dashboard and connected with many program leaders who are already using it for their programs or plan to do so. In the coming year, we’ll be putting more effort into making the global Dashboard into an effective tool for Wikimedians running education programs, edit-a-thon campaigns, and other editing projects where the tools we’ve built for our own programs can be similarly useful. Many of the particular features we’ve built with Wiki Education programs in mind are also available on the global Dashboard, but they aren’t on by default because they are only useful for certain types of programs. We’ll also be working more closely with Wikimedia Foundation’s Community Programs team to support global Dashboard users and prioritize areas for improvement. 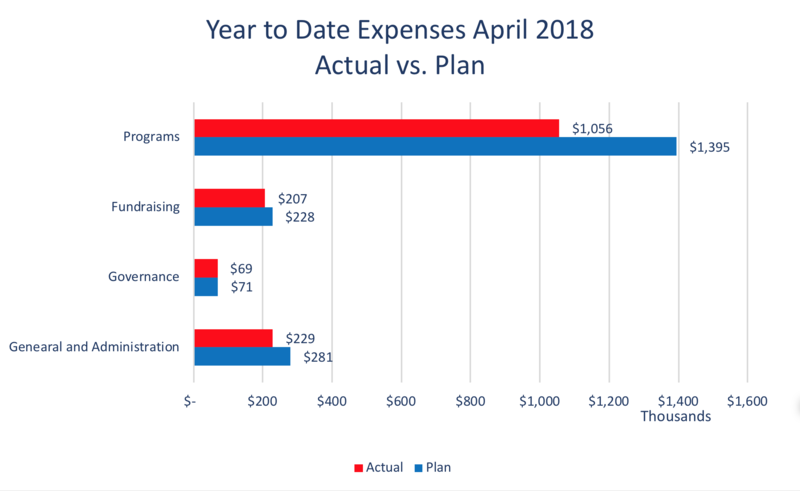 For the month of April, the total expenses were $218,300 versus the budgeted $158,000. This variance of ($60K) is expected, ($50K) reduction in Programs due to reduction in Payroll and the Research and Engagement program. General and Administration was under budget by ($8K). The budget included $10K in personnel that was offset by an increase of professional fees (+$2K) to cover the work allotted to the unfilled G&A personnel position. Wiki Education expenses for April 2018. The year-to-date expenses of $1,562,000 were under the budgeted amount of $1,975,000 by ($413,000). For the most part, Governance is on track, just ($2K) short of budget YTD. As expected, Programs is the most under budget due to changes in budgeted personnel ($144,000K), Professional Services ($126,000K), Travel ($28K), Associated marketing costs ($8K), administrative costs ($12K) and indirect costs associated with a lowered occupancy ($20K). Fundraising is under budget ($21K) YTD due to a shortage in Travel in December/January, but is on track for the month of February. General and Administrative has been under budget due to Personnel changes at the end of Q2 and has not quite picked back up, as expected in the budget and is still under budget YTD by ($52K). 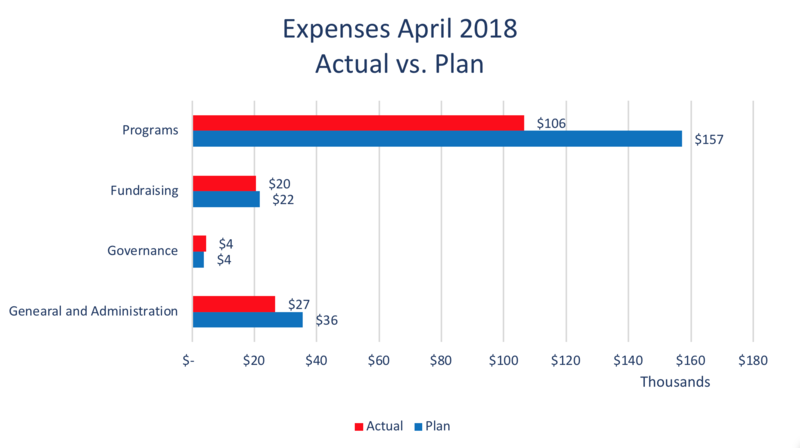 Wiki Education expenses, year to date through April 2018. In April, Director of Development and Strategy TJ Bliss continued to cultivate relationships with funders who we think might be interested in Wiki Education because of our major initiatives, including Communicating Science (formerly Sustaining Science). We applied for the Drucker Prize, a $100K grant and leadership development opportunity. The last time we applied for this prize was in 2015, but we did not advance far in the competition. We are hopeful that with major growth in our organization because of the innovations we have implemented over the last three years, including the Dashboard, we might compete better this year. We continued to be actively considered for funding at three other major foundations. We also continued to reach out to funders who we think may be interested in sponsoring specific topic areas that we support in our Classroom Program and have finalized an infographic that explains this program to potential funders. We also continued conversations with two non-profit organizations, and started conversations with two others, who are interested in a co-fundraising approach related to areas of common interest. Image: File:Wikimedia Conference 2018, Group photo.jpg, Jason Krüger for Wikimedia Deutschland e.V., CC BY-SA 4.0 via Wikimedia Commons. April has been another busy month, as the organization has moved full force into planning for next fiscal year. We’re also getting closer to finalizing the first draft of our new strategic plan to be shared with the board in May. Frank and Ozge also worked on preparing for the upcoming board meeting in early June. Board members will come together for a 2-day meeting in Tiburon for an in-person meeting that will serve at approving the new strategy and plan. In late April, Frank joined Sage in Berlin to participate in the annual Wikimedia Conference. While Sage joined the programs track, Frank focused on the second round of conversations about the strategic direction of the Wikimedia movement. 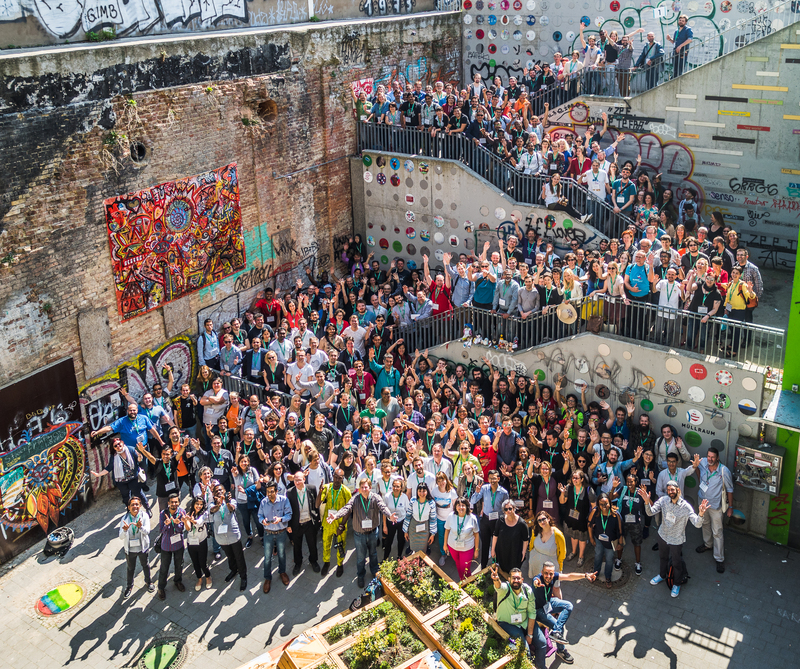 Header image: File:Wikimedia Conference 2018, Group photo.jpg, Jason Krüger for Wikimedia Deutschland e.V., CC BY-SA 4.0 via Wikimedia Commons.